Paul Sample has been illustrating for over 30 years having trained at both Bradford College of Art and Central School of Art in London,where he gained an Honours Degree in Graphic Arts. 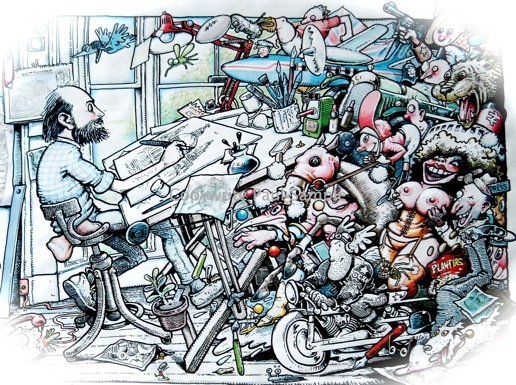 Born in Yorkshire, he now lives in leafy Shropshire where he continues to write and draw strip cartoons and illustrate various commissions. The following illustrations are a random selection from the 1500 available to view.